We specialize in cleaning and sanitizing fine rugs including tufted wool rugs, hand knotted rugs, oriental rugs, Persian rugs and synthetic rugs. When you drop off and pickup your area rug you can use this coupon to receive 15% off for a limited time. Get your air ducts cleaned & sanitized in your home and receive $50 off for a limited time. Restrictions: Discounts cannot be combined. Valid with any service of $350 or more. Call for details. 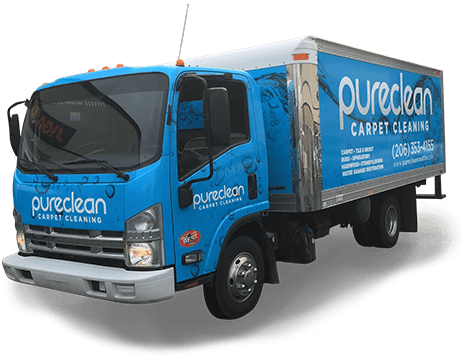 At PureClean we specialize in pet odor removal. In many cases we can 100% eliminate the stain and odor from your home. One of the ways this is accomplished is by utilizing electronic urine detection equipment in combination with high powered UV lighting. This is a free service we provide with any carpet cleaning service. Restore your hardwood floors with this months hardwood rejuvenation promotion. Receive $50 off your service of $350 or more.